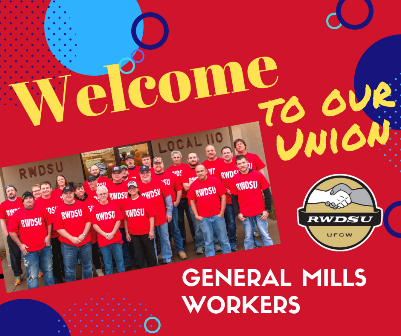 Over 500 production, maintenance and sanitation workers at the General Mills facility in Cedar Rapids, Iowa will now be represented by the IUF-affiliated RWDSU/UFCW following elections on January 9 in which a majority voted for union representation. With support from the union, workers began organizing last year in response to benefit cuts and the plant’s increased use of temporary agency workers. The US-based cereal and snack maker, which employs some 40,000 workers globally, has eliminated some 5,000 jobs in recent cost-cutting exercises. Internationally, General Mills has been expanding its footprint through its Cereal Partners joint venture with Nestlé.